Bottoms up, ladies! This cool shot glass is perfect for bridal showers, bachelorette parties, or just a good time out with all of your lady friends! Get some for all of your friends and get the party really rolling. 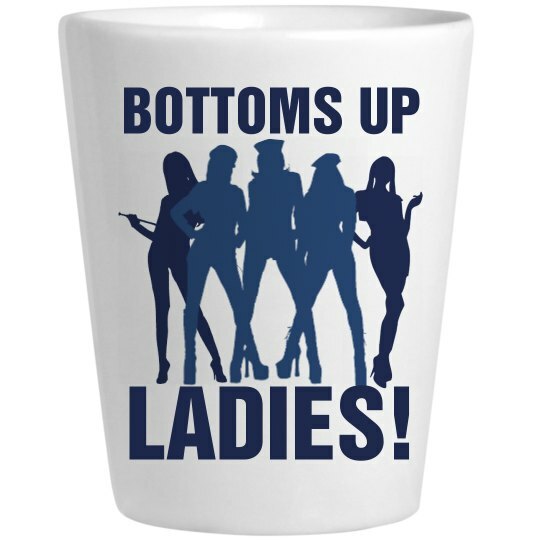 Custom Text: BOTTOMS UP | LADIES!